Marquee 3.7 L Deep Base Semi Gloss Enamel Interior Paint with Primer Change can be this beautiful, and this easy. Marquee<sup></sup> Interior is Behr's most advanced paint and primer, ever. With one-coat hide guaranteed* in over 1,000 colours, you can show your true colours in less time and with less paint. Not to mention its superior stain resistance and an easy-clean, durable finish so your space will stay looking fresh year after year - or until you feel like changing it up. Marquee 3.7 L Deep Base Semi Gloss Enamel Interior Paint with Primer is rated 4.8 out of 5 by 252. Rated 5 out of 5 by Ranlar from Better than advertised! I built a sewing room for my wife and had bare drywall to paint. I know Behr Marquee already has primer built in, but I also did one coat of Behr primer. The primer covered as good as paint and it only took one coat of the Marquee. I have used Behr paint for 20 plus years, but this was the first time I used Marquee. It costs more than their frontline paint, but overall it covers better than their frontline paint. I didn’t think that was possible. It has no traceable odor that I could detect. 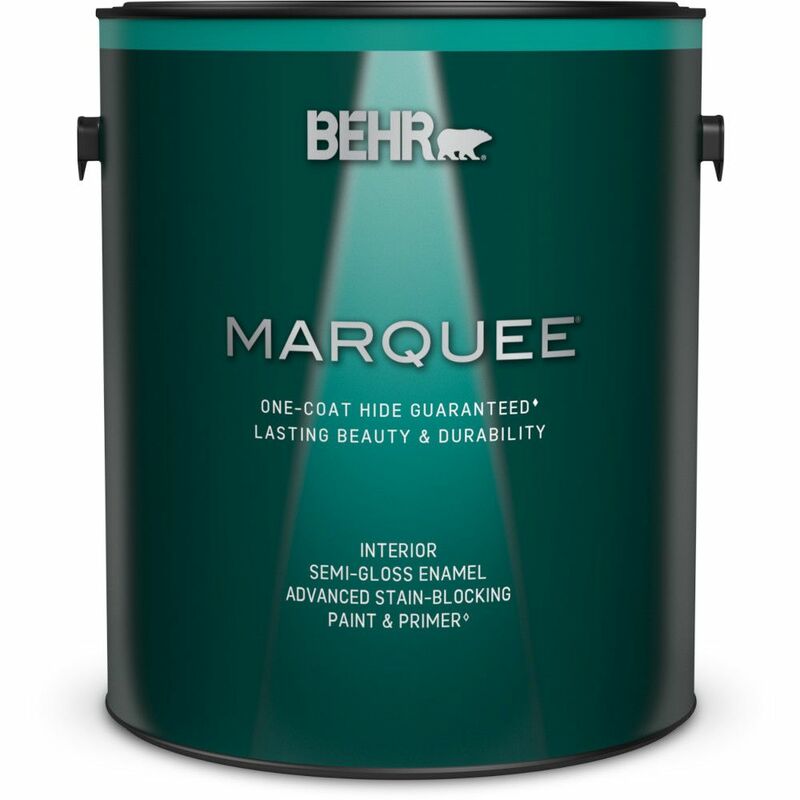 If there is a better paint than Marquee, then Behr hasn’t come out with it yet.